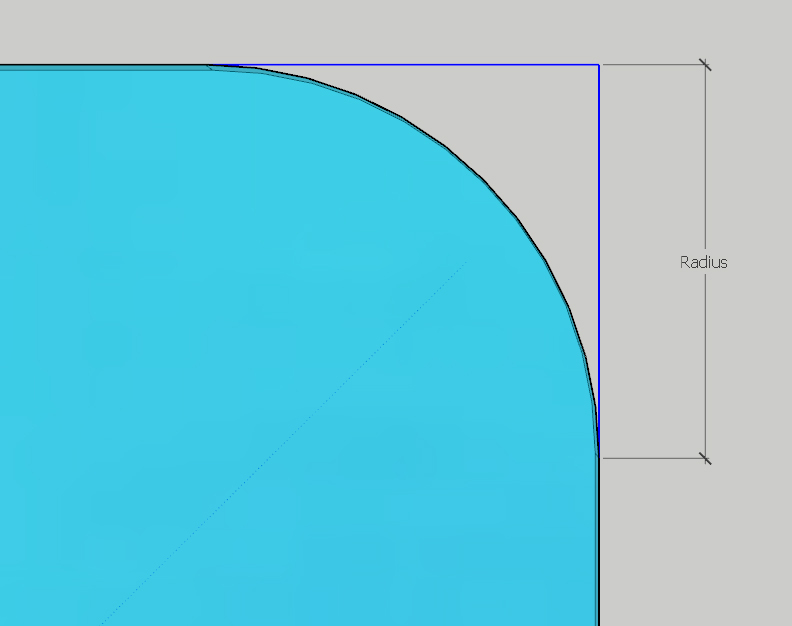 Position of Radius Corner	 Select the position of the rounded corner required when viewed from above. Please select how the panel should appear when viewed from above. Glass types such as Painted or Frosted must have their coated / etched surfaces to the underside of the glass, click here for a guide on this. 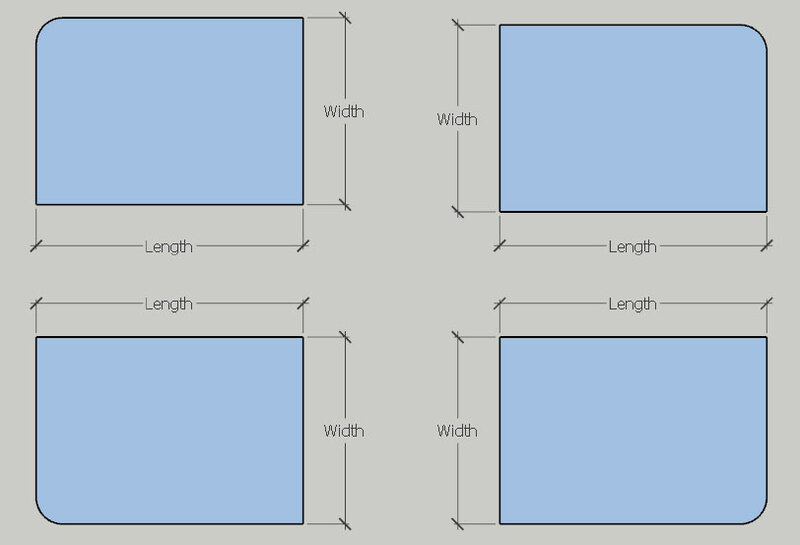 Size of Single Rounded Corner	 Select the size of the single rounded corner required. See the guide below if required.